Six pack abs come in different shapes and sizes. Some people have a six pack, others – only a four pack. Although rare, selected few even have an eight pack. Regardless of their shape and size, six pack abs are down to genes, working out and diet. You don’t need to invest in “ab blaster” type gadgets and gizmos. You don’t even need a gym. Just follow this simple home ab circuit by fitness model and bodybuilding competitor Tom Imanishi. Download the FREE “Six pack abs home workout routine” PDF. Six pack abs home circuit: How to do it? Do 3 sets per session, 2-4 times a week. Rest for 2mins between sets but don’t rest between each exercise. If you find that difficult, allow yourself enough rest between sets. For maximum results, you must focus on the area that you are working out and on your breathing. Execute the exercises in a controlled manner and exhale as you contract your abs. You must complete all exercises in the circuit back to back. Six pack abs home circuit: Which muscles does it target? The exercises included in the circuit target most abdominal and core muscles in your body. The crunches and leg raises target your upper and lower abdominals. The side crunches and Russian twists target your obliques (or “love handles” if you prefer). The plank targets your transverse abdominis. This is the deepest layer of your abdominal muscle. It wraps around your torso (back to front and from ribs to pelvis). Six pack abs home circuit: What to expect? Tom’s home ab circuit is designed to strengthen and develop your core muscles, and to sculpt your abdominal area. If you are after a lean six pack look, you need to combine the circuit training with a fat-loss diet and cardio training. You may also read our post on the basics of how to get a six pack. Next articleAesthetics and body image: Would you change your physique? I’m already pretty lean so would I really need a fat-loss diet? @ Zayyan: It depends on your definition of “pretty lean”. If you are working out and eating properly but still can’t see your six pack abs, then you probably need to check your body fat %. If your diet is good, you may want to up your cardio a bit to burn some of the fat that’s hiding your six pack abs. I am eating pretty decently but trying to eliminate bad habits. I don’t work out too much thats why I was looking for an at home plan so I think I need to up my cardio. Thanks! I will really use this plan and use your tips. Hope it goes well. Eating right is an important part of any body transformation. Some say that 80% of your six pack abs are made in the kitchen. I am glad that you find the attached home workout useful. Please let us know how you get on. I was looking at some eating habits considering carbs, fats, and other various nutrients but I was confused on what to take due to the fact that those are for intense workouts. So, I was wondering if you could direct me to a nutrition guide that works alongside this workout. Thanks. A good starting point is the “Muscle gain diet: meal ideas for skinny guys“. It’s not a diet plan as such but the downloadable PDF would give you some inspiration for your diet. It’s quite visual too. 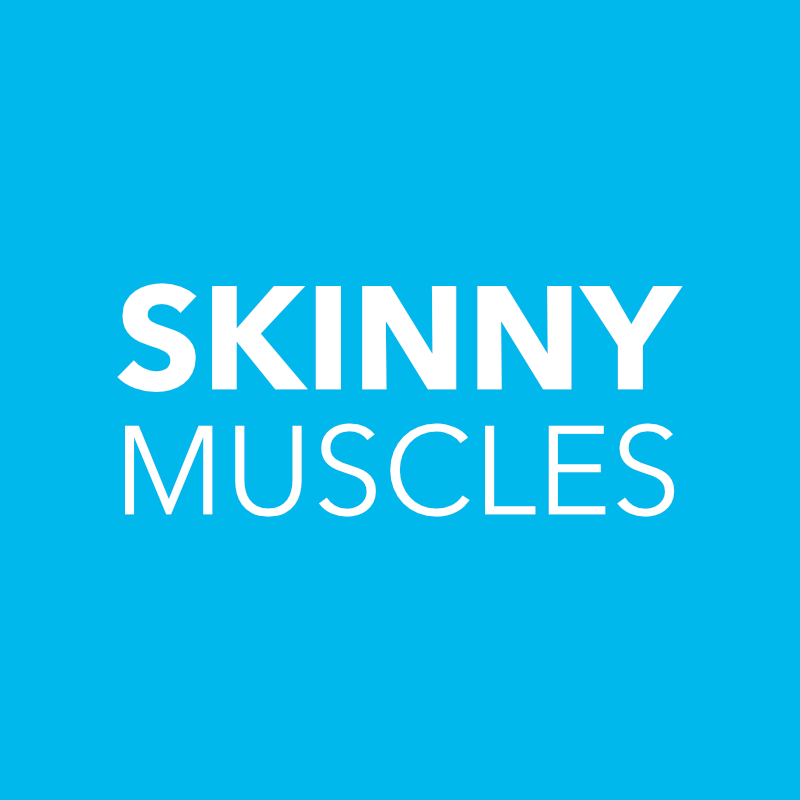 Make sure you check Skinny Muscles regularly because I’m starting series of articles on eating clean and working out at home in the New Year. Is this all I need for a six pack? (well not including the diet) but wow great! @Mohamed: Thank you. That should be a good starting point. The diet plays big part too. Feel free to search the website for more workouts and diet plans. The 4 Day Lifting Plan for Beginners is the second in the Weight Training Program for skinny guys. The plan is based on Jim Wendler’s 5/3/1 training system and developed by Chris Heskett. The exercises in the plan require access to a fully equipped gym with free weights.